Here’s the introduction to her investigation. A female CEO of a cannabis research company is fighting back against controversial Marijuana investor Andy Defrancesco after he started a twitter campaign to allegedly disparage her company and her personal ethics as a CEO. In the fall of 2018, New Frontier Data, which is run by Giadha Aquirre De Carcer, broke off a business partnership with another data research firm, Prohibition Partners, after a disagreement on the quality of data used in a research report detailing the investment opportunities in the Australian cannabis market. The two companies had signed a term sheet earlier in the year for New Frontier to invest $125,000 into Prohibition and co-publish/co-market their information. The companies agreed to go separate ways in September 2018. Then within a day of each other both companies published a research study called The Oceania Cannabis Report and Prohibition Partners, with the help of Defrancesco, made public statements on their twitter accounts that New Frontier had plagiarized their work and Giahda, the CEO, was a fraud. Defrancesco even used threatening language and images that said his power group of investors were coming for them and New Frontier would be blacklisted among big business in the Cannabis industry. Is New Frontier Data pro-Cannabis? How do you compare to other firms claiming to have Cannabis Market Research? How can I access New Frontier Data’s services? What are New Frontier Data’s values? Why the horse in the logo? Why are New Frontier Data’s services needed? What happens after I purchase a report? 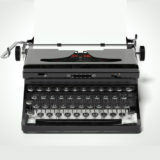 Can I print the reports I purchase? When will your products and services be fully available? What can be found in New Frontier Data’s reports and how can it be utilized? How can I be informed of upcoming features and report releases? How do you put together the data into a cohesive report and technology platform? What happens to my data when I share it? Will my patient’s information be published or become public? Who do I contact for a media interview or for more information about New Frontier Data? Within two years, we have become the world’s leading provider of market insights and strategic consultancy for this emerging frontier. We firmly believe that data, insights and education will unlock the societal and commercial potential of cannabis. Our research and content teams routinely share the latest legislative developments and key trends in the industry – information that is regularly cited by political leaders, investment banks and Fortune 500 companies. AUTHOR: William F. McDevitt, Esq. The Pennsylvania Department of Health (DOH) reported that almost $100 million in medical marijuana sales occurred between February 15, 2018, and February 15, 2019, the first full year that medical cannabis was available to Pennsylvania patients. More than $40 million in sales occurred between growers and dispensaries. Pennsylvania does not tax sales to patients, but does tax transactions between growers and dispensaries at a rate of 5%. Thus, in the first year of licensed sales, the Commonwealth received approximately $2 million in tax revenue from medical cannabis. In April 2019, the DOH confirmed that the first Phase II grower/processor was approved to begin operations. A total of 13 grower/processors received licenses in 2018. The 2016 Medical Marijuana Act (MMA) allows for a maximum of 25 standard grower/processor licenses. Assuming that all of the Phase II grower processors will produce product in 2019, the volume of medical cannabis in Pennsylvania will double and the price for patients will fall. It is estimated that the current market value of medical cannabis is $2,000 a pound and falling. This is a boon to the approximately 102,000 certified medical marijuana patients in Pennsylvania. It is also a potential boon to the estimated 32,000 additional patients who have registered on the DOH website but are still in the process of receiving medical certification. The number of registered Pennsylvania patients reflects a concerted effort to make medical marijuana available. New Jersey has had a medical marijuana program since 2010 and in March reported a total of 42,500 registered patients. 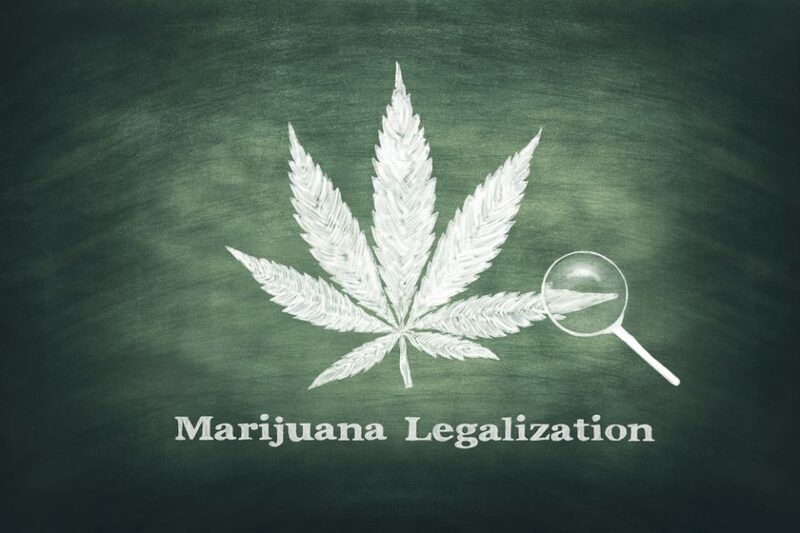 New York enacted its medical marijuana program in 2014 and on April 16, 2019, reported a total of 97,646 registered patients. Pennsylvania’s program began processingmedical cannabis registrations in 2017 and already has exceeded its closest neighbors in the number of registered patients. Maintaining a market in the face of increasing supply will not be easy, and there still are bugs in the system that limit access to medical cannabis in the Commonwealth. To participate in the medical marijuana program a patient must first register through the DOH website. Accessing the website is easy, but successfully completing the on-line form can be difficult, so much so that many dispensaries and private groups sponsor patient sign-up events. Even when receiving help from an experienced registration assistant, the failure rate is about 50%. The most common registration issue involves identification. The DOH system requires that a patient possess a state-issued form of identification. A person who doesn’t have a driver’s license will have a hard time registering for medical marijuana. Even with a state-issued ID, the registrant must enter their information in a precise way. Entering “Street” or “St.” when the ID says “ST” may result in a denial. Unfortunately, the system does not inform registrants why their application was denied. Some patients will simply reapply until successful. Others may feel that they were denied on a substantive basis and forego participating in the program. There are other obstacles to participating in the Commonwealth’s Medical Marijuana Program. Program participation requires certification from a physician that the patient suffers from one of 21 recognized medical conditions. Some physicians will charge $150−$200 for an appointment, and certification appointments are not covered under insurance. Moreover, the MMA requires that the patient receiving cannabis remain under the “continuing care” of a physician. In some areas, physicians charge a monthly amount to cannabis patients, believing that they must “monitor” the patient to comply with the law. “Continuing care” payments are not covered by insurance and some physicians have been reported to charge up to $840 a year for ongoing care. Once certified by a physician, patients must pay a $50 registration fee, which may be discounted for low-income individuals upon proof of participation in Medicaid, PACE/PACENET, CHIP, SNAP or WIC. Until that proof is accepted, no Medical Marijuana Card can be issued. Since medical marijuana remains illegal under federal law, patients may not wish to disclose their receipt of federal assistance. The DOH, while committed to serving Pennsylvanians and making access to medical cannabis widely available, must nevertheless operate within its budget and pursuant to the MMA and its attendant regulations. Unfortunately, the current system remains frustrating to many patients who feel that they have been denied access, cannot afford medical certification or may lose federal entitlements by participating. Cannabis supply will increase in 2019, but if demand does not increase with supply, prices and tax revenues will fall. Thus, resolving registration problems and increasing participation in the Medical Marijuana Program is in the best interests of all Pennsylvanians. We are, of course, addressing the long-term success of fully-licensed, fully-compliant, fully tax-reporting California cannabis businesses. As anyone familiar with California’s cannabis industry is aware, most California cannabis businesses do not qualify as fully-licensed, compliant, tax-reporting businesses. The majority of California cannabis businesses are wholly or partially non-compliant. Many California cannabis businesses are trying to be fully compliant taxpayers, but it is not an easy course. This article was prepared to illustrate the impact of the total tax load on California’s commercial cannabis industry. This article utilizes a simple example to illustrate the totality of the taxes that are directly and indirectly imposed on the commercial movement of cannabis in California from a cultivator to consumers. The totality of the taxes imposed on California’s cannabis industry are: Cannabis Cultivation Tax (“CCT”); Cannabis Excise Tax (“CET); Sales Tax; City and County Cannabis Taxes; and not to be forgotten California and Federal Income Taxes. As is noted above, even for those California cannabis businesses that do not appear to be impacted by most of the taxes imposed on cannabis, an understanding of the effect of these taxes is critical to success. Taxes dramatically impact the prices at which cannabis is transferred between segments of the industry even if the taxes are not directly imposed on a particular segment. We have prepared three Pie Charts to illustrate the impact of taxes on California cannabis businesses. The illustrations below are based on the transfer of a pound of flower by a cultivator through a single distributor to a single dispensary that sells the flower to consumers. The Pie Chart on the left (below) reflects a division of dollars between taxes, dispensary, distributor and cultivator based on an arbitrary percentage of the total amount paid by the consumers. In this Pie Chart 40% of the total dollars collected from the consumers are allocated to taxes and the remaining 60% of the total dollars are divided equally between the Dispensary, the Distributor and the Cultivator. In reality the percentage of the money collected from consumers from a sale of flower that will ultimately be paid over in taxes by a cannabis business will range from 30% to over 50%. In all instances involving the commercial movement of cannabis from cultivator to consumer in California, the total taxes collected and paid over to governmental agencies in connection with a sale of flower will generally be around 40+% when all of the taxes are taken into account. Each of the Dispensary, Distributor and Cultivator will receive 15%-25% of the money that remains from a commercial sale of flower. In the Pie Chart on the left we divided the remaining 60% of the total dollars equally between the Dispensary, the Distributor and the Cultivator. We made the divisions between the four segments of the Pie Chart broad in order to illustrate that there will always be a range to the share of the total dollars that will be received by a particular segment in a particular instance. The Pie Chart in the center illustrates the movement of flower from a cultivator to consumers with the dollar amounts we have attributed to these transactions in our example. The Pie Chart in the center does not take into account the estimated income taxes that will be incurred by the Dispensary, Distributor and Cultivator. The Pie Chart on the right takes into account the income taxes that we estimate will be incurred. In the Pie Chart in the center the Cultivator sells one pound of flower to a Distributor for $852.00 and the Distributor assumes the $148.00 of CCT associated with the pound of flower. The Distributor processes the flower into retail packages. The Distributor marks up the pound of flower by $600.00, and sells the flower to the Dispensary for $1,600.00. The $1,600.00 price at which the pound of flower is transferred to the Dispensary includes the $148.00 of CCT. The Distributor also adds $384.00 of CET which is collected from the Dispensary. The Distributor receives $1,984.00 in payment from the Dispensary. The Distributor owes $532.00 to the California Department of Tax and Fee Administration (“CDTFA”) for CCT ($148.00) and CET ($384.00). The Dispensary marks-up the flower by $960.00. This is the mark-up assumed in the computation of the CET that the Distributor collected from the Dispensary. The Dispensary sells the flower to Consumers for $2,560.00 plus $920.00 of taxes (CET, Local Taxes, and Sales Tax) which the Dispensary collects from the Consumers. The total amount collected by the dispensary for the pound of flower is $3,480.00. 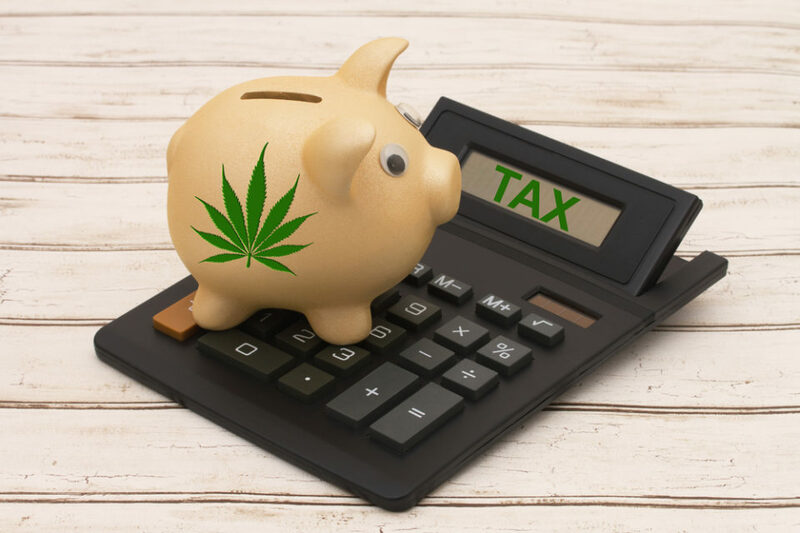 The total taxes the Dispensary collects of from the Consumers for the pound of flower of $920.00 consists of: CET, $384.00; Local Taxes of $256.00 (10% x $2,560.00); and Sales Tax of $280.00 (8.75% x $3,200.00). The total taxes due CDTFA and local governments from this sale of cannabis flower are $1,068.00 ($920.00 + $148.00). This amount does not include the California and Federal Income Tax that will be incurred by the Dispensary, Distributor and Cultivator. The Pie Chart in the center reflects the division of the $3,480.00 among taxes, Dispensary, Distributor and Cultivator without consideration of income taxes. The percentage breakdown of the $3,480.00 illustrated in the Pie Chart in the center is: taxes, 30.8%, Dispensary, 27.6%, Distributor, 17.2% and Cultivator, 24.4%. If we take into account the estimated income taxes that will be incurred by the Dispensary, Distributor and Cultivator, the percentage of the $3,480.00 that is lost to taxes moves significantly above 40%. If we assume the Dispensary will pay income tax at a 40% rate on the full amount of the Dispensary’s $960.00 mark-up because of Internal Revenue Code (“IRC”) §260E, the Dispensary will have an income tax liability of $384.00. If we assume the Dispensary has operating expenses of $384.00, the Dispensary will have an after-tax income of $192.00, which is a 20% after-tax profit. For the purpose of illustrating the impact of income taxes on the Distributor and the Cultivator, we will assume each of these businesses is also subject to a 40% income tax rate and achieves a 20% after-tax profit. We will also assume IRC §280E has no application to the Distributor or the Cultivator. The Distributor will have an income tax liability of $80.00 and after-tax profit of $120.00 ($600.00 x 20%), if its operating expenses are $400.00 and the income tax rate is 40%. The Cultivator will have an after-tax profit of $170.40 ($852.00 x 20%) and an income tax liability of $113.60 ($284.00-$170.40 = $113.60) under the same set of assumptions if the Cultivator’s operating expenses are $568.00. Based on the preceding assumptions, the total income taxes imposed on the Dispensary, Distributor and Cultivator will be $577.60 ($384.00 + $80.00 + $113.60). These assumptions regarding income taxes increase the total amount of taxes due various governmental agencies out of the $3,480.00 paid by the Consumers to $1,645.60. The total amount left to be divided among the Dispensary, Distributor and Cultivator after-taxes is $1,834.40. As the reader will immediately see, significantly more than 40% of the $3,480.00 paid by the Consumers for the pound of flower will be paid by one of the three cannabis businesses in taxes to various governmental agencies. When income taxes are taken into account based on the preceding assumptions, the percentage of the $3,480.00 allocated to taxes is 47.3%. The percentage of the $3,480.00 retained by each of the cannabis businesses after all taxes are taken into account will be: Dispensary, 16.6%, Distributor, 14.90% and Cultivator, 21.2%. Each of these businesses must recover their costs and make their profit from these modest percentages of the total dollars collected from cannabis consumers. Of course, if a California cannabis business, other than a dispensary does not make a profit, income taxes are moot. However, a dispensary may have an income tax liability even if it loses money because of IRC §280E under the present state of the law. Can anyone interested in the successful operation of a cannabis business in California doubt that the management of the collection, reporting and remittance of the many taxes imposed on California’s cannabis industry is critical to success? We prepared the preceding as one of several articles we will publish to the significance of the impact of taxes on California cannabis businesses. The next article will be similar to the preceding. The next article will illustrate the impact of taxes on extracted cannabis oil. Tax management demands professional expertise. Tax liabilities cannot be managed in the absence of financial record-keeping and tax reporting systems that are specifically designed for the industry and for the business function within the industry. “JUST BECAUSE CANNABIS IS LEGAL IN CALIFORNIA UNDER CERTAIN CIRCUMSTANCES, IT DOESN’T GIVE ANYONE A GET OUT OF JAIL FREE CARD!!!”. The simplest way to address this issue without turning it into a rant is for us to reiterate the rules proscribed by various agencies that regulate Circular 230 practitioners in California. By doing so, no one that has seen this post can ever say that they were not aware of the rules. We should be able to lay out sufficient bright lines with those rules such that we can avoid a discourse about the conduct of specific business owners or their advisors. We have one very simple thought…we don’t have, have NEVER had, and NEVER will have a client that could offer us ANYTHING, let alone $$$ that would cause us to consider any form of conduct that might put reputation, let alone a professional license at risk…PERIOD. 58. Compliance with Standards. Licensees engaged in the practice of public accountancy shall comply with all applicable professional standards, including but not limited to generally accepted accounting principles and generally accepted auditing standards. Note: Authority cited: Sections 5010 and 5018, Business and Professions Code. Reference: Section 5018, Business and Professions Code. The CBA regulations effectively incorporate Circular 230, PCAOB, AICPA and CalCPA rules by reference. Acts Discreditable RULE 501. A member shall not commit an act discreditable to the profession. The California Bar has the following rule for practicing attorneys admitted in California. (f) knowingly* assist, solicit, or induce a judge or judicial officer in conduct that is a violation of an applicable code of judicial ethics or code of judicial conduct, or other law. For purposes of this rule, “judge” and “judicial officer” have the same meaning as in rule 3.5(c). (1) Conviction of any criminal offense under the Federal tax laws. (2) Conviction of any criminal offense involving dishonesty or breach of trust. (3) Conviction of any felony under Federal or State law for which the conduct involved renders the practitioner unfit to practice before the Internal Revenue Service. (5) Solicitation of employment as prohibited under §10.30, the use of false or misleading representations with intent to deceive a client or prospective client in order to procure employment, or intimating that the practitioner is able improperly to obtain special consideration or action from the Internal Revenue Service or any officer or employee thereof. (6) Wilfully failing to make a Federal tax return in violation of the Federal tax laws, or wilfully evading, attempting to evade, or participating in any way in evading or attempting to evade any assessment or payment of any Federal tax. (7) Wilfully assisting, counseling, encouraging a client or prospective client in violating, or suggesting to a client or prospective client to violate, any Federal tax law, or knowingly counseling or suggesting to a client or prospective client an illegal plan to evade Federal taxes or payment thereof. (8) Misappropriation of, or failure properly or promptly to remit, funds received from a client for the purpose of payment of taxes or other obligations due to the United States. (9) Directly or indirectly attempting to influence, or offering or agreeing to attempt to influence, the official action of any officer or employee of the Internal Revenue Service by the use of threats, false accusations, duress or coercion, by the offer of any special inducement or promise of an advantage or by the bestowing of any gift, favor or thing of value. (10) Disbarment or suspension from practice as an attorney, certified public accountant, public accountant, or actuary by any duly constituted authority of any State, territory, or possession of the United States, including a Commonwealth, or the District of Columbia, any Federal court of record or any Federal agency, body or board. (11) Knowingly aiding and abetting another person to practice before the Internal Revenue Service during a period of suspension, disbarment or ineligibility of such other person. (12) Contemptuous conduct in connection with practice before the Internal Revenue Service, including the use of abusive language, making false accusations or statements, knowing them to be false, or circulating or publishing malicious or libelous matter. (13) Giving a false opinion, knowingly, recklessly, or through gross incompetence, including an opinion which is intentionally or recklessly misleading, or engaging in a pattern of providing incompetent opinions on questions arising under the Federal tax laws. False opinions described in this paragraph (a)(l3) include those which reflect or result from a knowing misstatement of fact or law, from an assertion of a position known to be unwarranted under existing law, from counseling or assisting in conduct known to be illegal or fraudulent, from concealing matters required by law to be revealed, or from consciously disregarding information indicating that material facts expressed in the opinion or offering material are false or misleading. For purposes of this paragraph (a)(13), reckless conduct is a highly unreasonable omission or misrepresentation involving an extreme departure from the standards of ordinary care that a practitioner should observe under the circumstances. A pattern of conduct is a factor that will be taken into account in determining whether a practitioner acted knowingly, recklessly, or through gross incompetence. Gross incompetence includes conduct that reflects gross indifference, preparation which is grossly inadequate under the circumstances, and a consistent failure to perform obligations to the client. (14) Wilfully failing to sign a tax return prepared by the practitioner when the practitioner’s signature is required by Federal tax laws unless the failure is due to reasonable cause and not due to wilful neglect. (15) Wilfully disclosing or otherwise using a tax return or tax return information in a manner not authorized by the Internal Revenue Code, contrary to the order of a court of competent jurisdiction, or contrary to the order of an administrative law judge in a proceeding instituted under §10.60. (16) Wilfully failing to file on magnetic or other electronic media a tax return prepared by the practitioner when the practitioner is required to do so by the Federal tax laws unless the failure is due to reasonable cause and not due to wilful neglect. (17) Wilfully preparing all or substantially all of, or signing, a tax return or claim for refund when the practitioner does not possess a current or otherwise valid preparer tax identification number or other prescribed identifying number. (18) Wilfully representing a taxpayer before an officer or employee of the Internal Revenue Service unless the practitioner is authorized to do so pursuant to this part. (b) Effective/applicability date. This section is applicable beginning August 2, 2011. If you happen to become aware of a licensed professional that has violated any of these rules, REPORT THEM TO THAT APPROPRIATE REGULATORY AGENCY IMMEDIATELY. if you aren’t sure, REPORT THEM ANYWAY AND LET THE REGULATORS DECIDE. The question of whether the legal cannabis industry in California succeeds or fails is going to be determined by compliance with tax and regulatory provisions going forward. Let’s not shoot ourselves in the head. With last Friday’s “landmark” bill, Congress is closer than ever to long-awaited reform measures that would, in effect, legalize marijuana. “Landmark” is how Rep. Earl Blumenauer (D-OR) described the legislation introduced this past Friday. If passed, it would end the federal prohibition on marijuana. The legislation is called the STATES Act (Strengthening the Tenth Amendment Through Entrusting States). In practical terms, it would allow each state or territory to decide its own policy on marijuana, without federal intervention. It will still be a while before the bill gets a full House vote. Regardless, the momentum and growing support from an increasing number of politicians are what’s important for now. 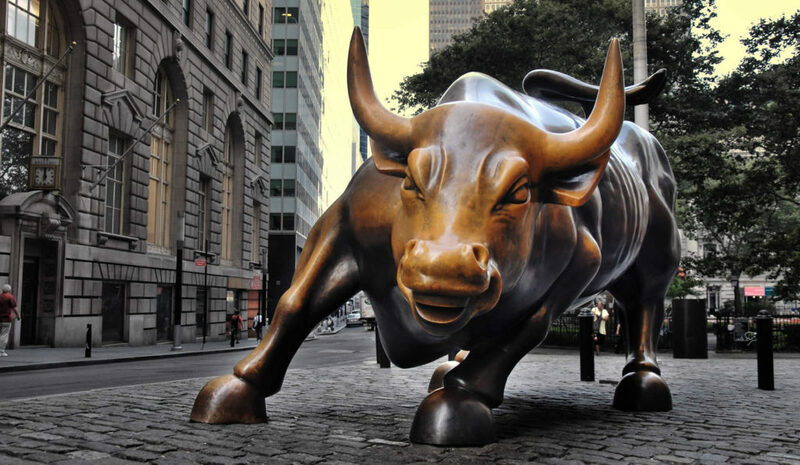 It’s part of a new wave of legalization that has already created massive stock winners. At this point, it’s undeniable — legal marijuana is one of the biggest investment opportunities of this generation. So, given this federal milestone, in today’s Digest, let’s review federal marijuana reform efforts that have taken place over the last few months. Then, in light of where we stand today, let’s discuss which investments are likely to thrive in this environment. The Farm Bill was major news for marijuana investors. To understand why, I’m going to turn to our resident marijuana expert, Matt McCall. Matt is one of the most respected, and successful, marijuana analysts in the business. Prior to that, hemp was classified as a Schedule 1 drug according to the Drug Enforcement Administration (DEA), and federal laws prohibited growing or selling it. A previous Farm Bill from 2014 allowed a few states to give out limited permits to grow hemp for specific uses, but it mostly remained illegal. The DEA’s classification made no sense. Schedule 1 drugs are the most addictive and dangerous in the world and have zero medical benefits. We know that isn’t true with hemp. Can you believe that the DEA viewed hemp as more dangerous than cocaine, which is a Schedule 2 drug? Given this hemp legalization, we’re now seeing CBD-infused products being sold in traditional outlets including Walgreens and CVS. Beyond that, CBD has already become so popular it’s making its way into products you may never have suspected — for instance, CBD dog treats. This CBD-popularity dovetails into the second area of federal reform — the FDA. While CBD made from hemp is now legal thanks to the 2018 Farm Bill, CBD made from marijuana is still illegal. That’s because marijuana remains a controlled substance. 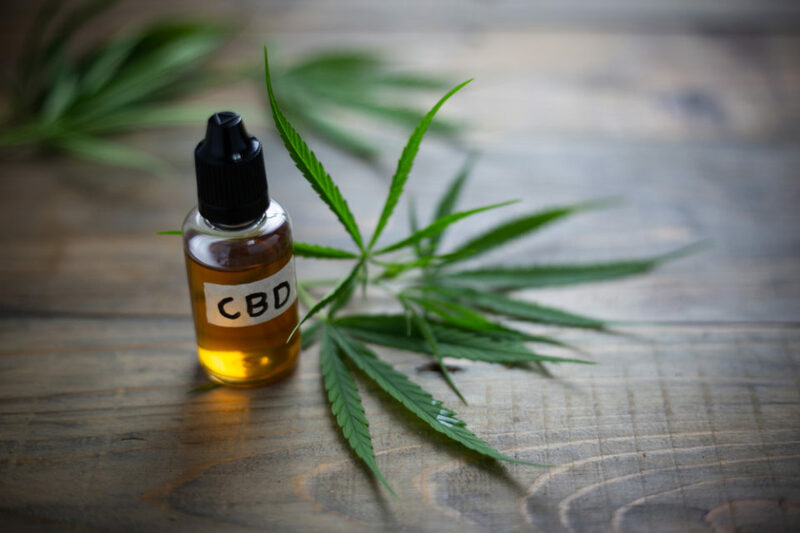 The lack of formal guidance from the FDA has led to lots of confusion as to which CBD products are legal versus illegal, as well as marketing claims and general advertising. This has slowed CBD’s growth (even though its current growth is staggering despite these challenges). During one of his last days as FDA commissioner, Scott Gottlieb appeared before a House appropriations subcommittee and explained the challenge. In essence, regulating CBD will require a unique model that may take years to complete. That’s why Gottlieb suggested that congressional action on CBD could lead to a faster resolution than paths through the FDA. 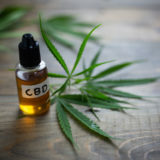 But in an effort to push the ball forward, the FDA will hold its first public hearings on whether to allow CBD to be legally used as a food-and-drink ingredient on May 31. If you want to be a part of this conversation, the agency is asking for public comment. If you’d like to learn more and have your voice heard, click here for more information. On March 28th, a congressional committee approved the Secure and Fair Enforcement (SAFE) Banking Act. The legislation is intended to increase marijuana businesses’ access to banks. This is big because with marijuana still illegal under federal law, getting banks to accept deposits from marijuana-related companies is extremely difficult. That’s because any bank that does business with marijuana companies could be charged with “aiding and abetting” — which is a federal crime. In order for the marijuana industry to make its next quantum leap, banks need to be in on the game. And last Thursday’s vote from the House Financial Services Committee is evidence that’s happening. The vote is also significant since it was approved despite some resistance from Republicans. You see, when Republicans held the House majority, they blocked marijuana amendments from even being considered. Even last week, top Republicans on the Financial Services Committee requested to delay the vote, given some unanswered questions. The vote went ahead and was passed despite this request, which is a reflection of the chamber’s new Democratic majority. When the legislation will reach the floor is unclear. But if passed, federal banking regulators will not be able to punish financial institutions just because they service marijuana businesses that enjoy legal status under state or local law. That will be a watershed moment for the legalized marijuana industry. ***Coming full circle, given the status of these various federal reform efforts, where do we see the most impact on investments? Marijuana is still illegal on the federal level. So, as you would expect, the investments seeing the biggest gains are those that have less risk of federal prosecution. CBD falls into this area, despite the current murkiness surrounding its FDA approval. Given this, many CBD stocks are exploding. Matt’s own Elixinol is one example. Elixinol makes and distributes CBD supplements and skincare products. At the time of this writing, Matt’s subscribers are up over 175% since December. 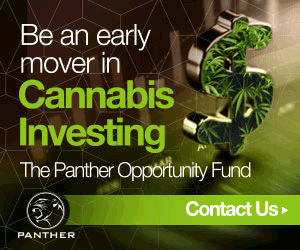 So, CBD companies should be on your radar if you’re looking to begin a portfolio of marijuana investments. A second marijuana investment area that has some insulation from federal repercussions is found in “picks and shovels” companies — in other words, companies that provide services to the marijuana industry, but don’t directly participate. For instance, a company that provides fertilizer and production equipment to a grower. The example from Matt’s portfolio is Innovative Industrial Properties (IIPR). It’s a REIT which buys properties from medical marijuana growers, then leases the buildings back to the growers. At the time of this writing, Matt’s subscribers are up over 150% since August. As to pure-play marijuana companies, such as those that sell marijuana directly to consumers, we expect they’ll thrive in the coming years after full federal legalization. But until that happens, we anticipate outperformance from these “safer” marijuana plays. That said, if you’re looking for huge investment returns, the time to invest is usually before the crowd piles in. That means an investment in more direct marijuana companies today could pay off huge tomorrow. If you’re looking for help identifying marijuana investments, Matt will be hosting his first-ever Cannabis Stock Summit where he will explain the area he’s most excited about right now. 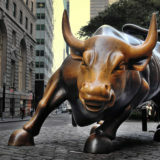 It’s based on a strategy that targets a specific type of marijuana company positioned to benefit from a unique market event. Click here to learn more. In the meantime, we’ll continue to keep you up to speed as to the status of federal reform as 2019 unfolds.